Grab the opportunity of a lifetime experience and join the Kilimanjaro Elephant Safari at a discounted rate. The discount of 25% per person off the ride price (not including the government fees) for safaris departing in July or August 2019 . This is a massive discount of $1270 per person. Rides need a minimum of six guests to confirm. 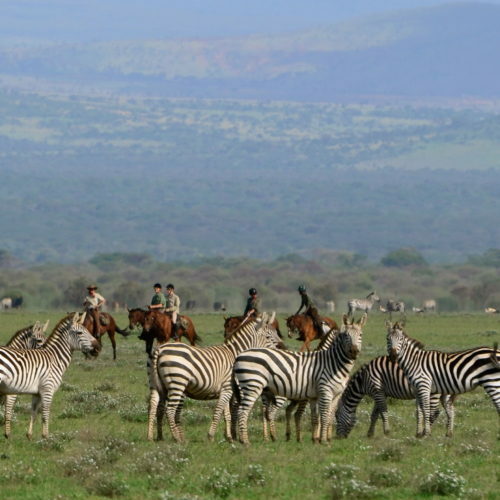 July and August are the cooler months of the year but a great time for a riding safari. The days are sunny but the temperature is nice and pleasant for riding. The rains in the earlier months leave the ground lush and green, encouraging larger herds of plains game.